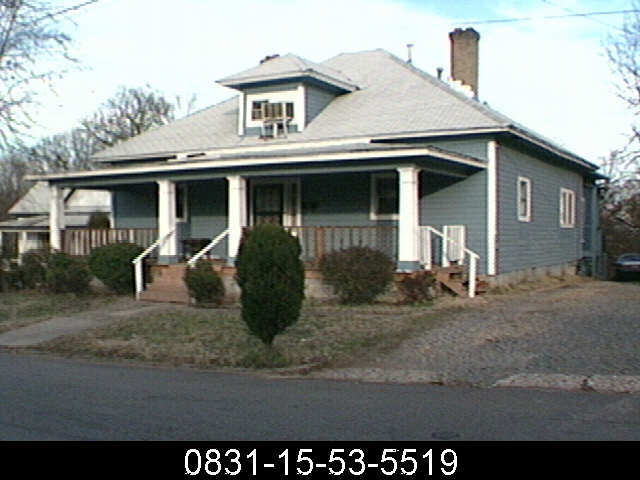 Pyramidal cottage with a hipped dormer window, Geman siding, and a full porch with boxed posts. Alterations include smaller replacement windows and a replacement porch railing. 1930-1940 CDs: Geo. D. Lasater, owner.